„Competencies“ is used in a wide sense here. 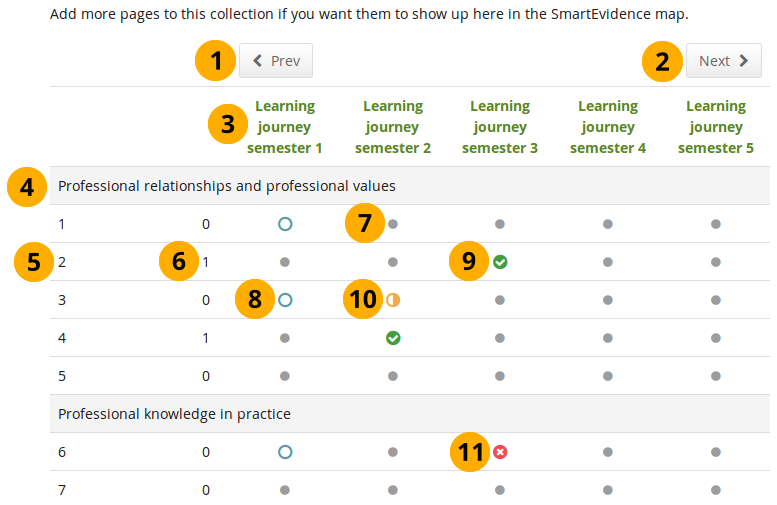 SmartEvidence can be used for multiple purposes including competency-based assessment, graduate attributes, skills accomplishment and many more. It can also be used for self-assessment purposes. The implementation of SmartEvidence is experimental. While the majority of the functionality works as intended there are a few areas that still need to be sorted out, e.g. the export of the SmartEvidence map in both HTML and Leap2A. 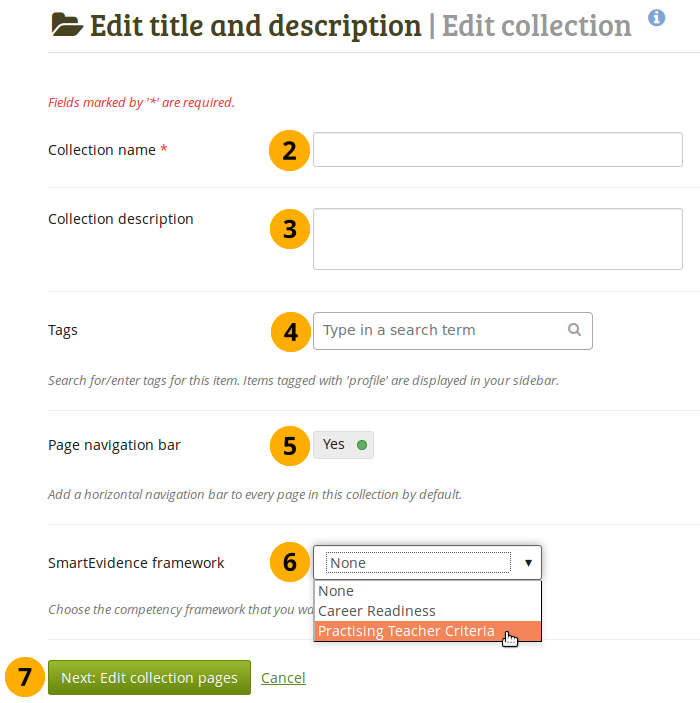 Your institution administrator needs to allow SmartEvidence in the institution settings before you can use this feature. Sammlungsname: Tragen Sie einen Titel für Ihre Sammlung ein. Beschreibung der Sammlung: Erstellen Sie eine kurze Beschreibung für Ihre Sammlung. Es steht Ihnen kein Editor, sondern nur ein Texteingabefeld zur Verfügung. Dieser Feldeintrag ist optional. Ansichtennavigation: Wählen Sie, ob eine Navigation mit Tabs angelegt werden soll oder nicht. Wenn Sie sich entscheiden, dies nicht zu tun, müssen Sie den Navigationsblock einfügen, um von einer Ihrer Ansicht zu den anderen Ansichten zu wechseln. Refer to the section „Write an annotation“ for more information on how to add an annotation and associate it with a standard. Refer to the section „Respond to an annotation“ for more details.